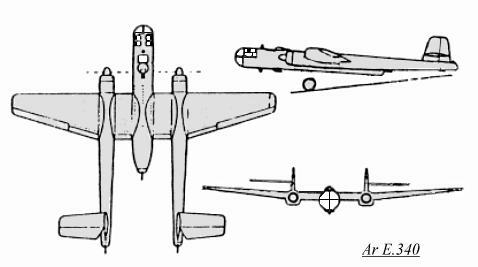 The RLM issued a specification for a "Bomber B" design in 1939, to replace the Ju 88 and Do 217 by 1943. 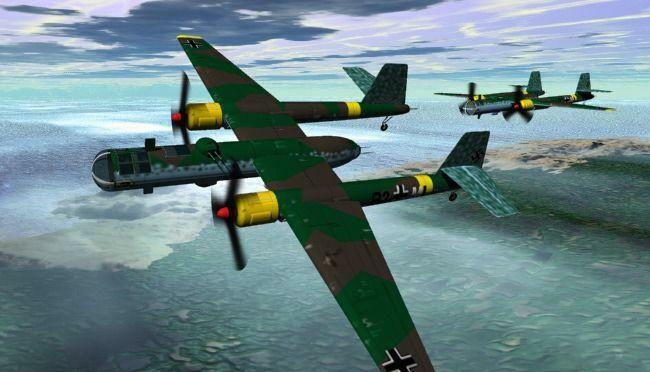 Four companies submitted designs for a twin engine medium bomber that could also dive bomb and have tactical ground support: Arado (Ar E.340), Dornier (Do 317B), Focke-Wulf (Fw 191) and Junkers (Ju 288). 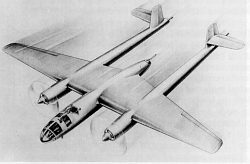 The design specifications called for top speed of 600 k/hr (373 mph) at 7000 m (23000') with a range of 3600 km (2236 miles) carrying a 2000 kg (4400 lbs) bombload. If more powerful engines became available, then a shorter range bombload of 6000 kg (13200 lbs) was forseen. There were three engines under development at the time that would fit the requirements: the Daimler Benz 604, the BMW 802 and the Jumo 222. The Jumo 222 engines were chosen because these were projected to be ready in the available time frame. The Arado E.340 had a central fuselage that contained the extensively glazed and pressurized cockpit that held a crew of four, and also the bomb bay. Wing mounted booms provided the mounts for the Jumo engines and the main landing gear. The tail surfaces did not extend through the central area, this provided a clearer field of fire. There were also defensive armament located on the rear of the engine booms and fuselage, which were to be controlled by periscopic aiming, later used on the Ar 240. Two remote-controlled gun turrets were also place above and below the fuselage just aft of the cockpit. Armament consisted of three MG 151/20 20mm machine guns and two EDL 131 13mm machine guns in two turrets. Due to the availability problems of the high-grade fuel needed by the Jumo 222 engines, the Ar E.340 project was cancelled.